This supercharged treatment works to reduce the appearance of wrinkles by helping smooth the skin's surface and filling the look of fine lines, to restore the appearance of youthful plumpness and volume. Boosts the appearance of plumpness and volume. Helps smooth the look of lines and wrinkles. Comprehensively provides a more youthful, radiant appearance. Encapsulated Micronutrients, minerals with specific ionic charges, hydrate while giving a plump, tight and lifted looking appearance. Spilanthes Extract helps smooth the appearance of wrinkles and fine lines. Snowflake Bulb Extract helps inhibit the look of wrinkles. Viniferin, obtained by enzymatic bioconversion from resveratrol, promotes a healthy, restored look. 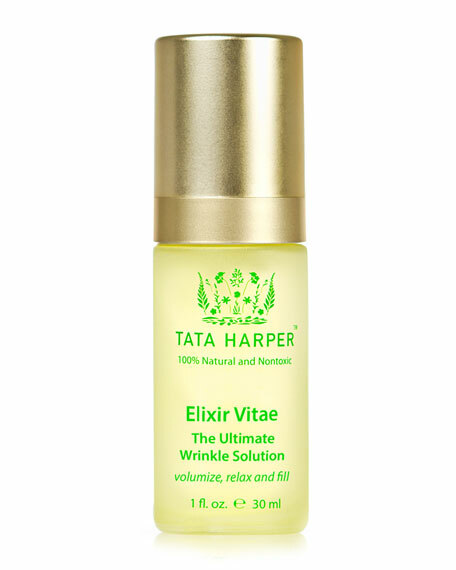 Blend with any of the other Super Natural serums for a comprehensive age-defying treatment.